But with lawsuits like Apple vs. Samsung (great coverage on groklaw), it’s becoming obvious even for the hard-core patent defenders that things must change. The Federal Circuit is now trying to come up with a test that answers whether software is patentable or just an abstract idea. Simple idea: If you exit a tight side street with high walls on both sides, you can’t see the traffic coming from the sides. If there was a camera in the headlights of your car, you could see around the corner without exposing more than a few centimeters of your car. Google says “We’re not evil[*]” but some have their doubts. “Why insist, when you’re not?” they might ask. 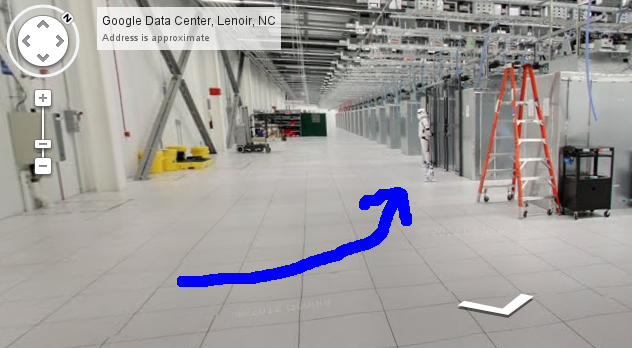 Source: Take a walk through a Google data center. When you start, take a step left and then turn left. [*]: Actually, the slogan is “Don’t be evil.” See how a slight change of words changes the meaning of a sentence. If the project has several modules and the build fails in the middle, you will end up with a repository that is a mix of old and new modules. The POM must have the correct values in the distributionManagement element. The former can break builds for your colleagues, the latter means you have to edit the POM file. Not a big deal – unless the POM file comes from an external source, say, an OSS project. If you edit it, you need to maintain the changes. But it gets ugly when your changes are committed to the external project. The following script solves both problems. In a nutshell, it copies the POM, removes any existing distributionManagement elements, adds the ones you want and then builds using the new, temporary POM. If the build succeeds, the temporary POM is deleted. The build itself is split into two steps. The first step does a local build, the second build skips tests and only uploads the results. It does run the compilers again but since the code was already built a few seconds ago, this shouldn’t be an issue. You are currently browsing the Dark Views blog archives for October, 2012.